The invasion of Hurricane Michael was devastating for residents of the Florida Panhandle and Southern Georgia. The panhandle took a direct hit, and the members of House Buurenaar Verda rallied together to do something about it. 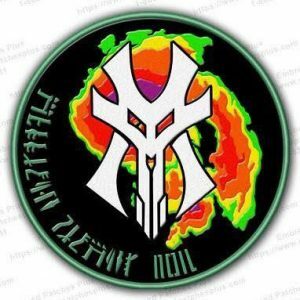 Drexl Clan covers the northwestern portion of Florida, and the members were reeling after the hurricane passed through their area. As soon as the storm cleared the area, all members were accounted for and the property assessments began to take place. The five Alor’ade of House Buurenaar Verda rallied together to help out their fellow Storm Warriors. A patch, shown above, was put together to start raising funds immediately for the affected members. When the patch went live, donations started to arrive to help those members, as well. So far, four members have directly benefited from the efforts of the Drexl Clan Command staff, aided by members around the world. One member, whose child was about the celebrate a birthday, lost all of the gifts due to damage to their home, so donations were made to ensure the child still had a happy birthday, despite the turmoil brought on by the storm. Another member had extensive roof damage and received aid in getting a tarp fitted to the roof until the repairs can be made. The third member had some volunteers come help them go through their damaged home to remove valuables that could have otherwise been looted. The fourth member is being housed by others because their home is unsuitable to live in and they have been displaced until repairs can be made. The patch run has closed, but keep an eye out for further fundraisers as we continue to support our vode in Florida.